Home to impressive neo-Baroque architecture, the world’s third-largest Parliament building and Europe’s biggest interactive museum (hello Pinball Museum! 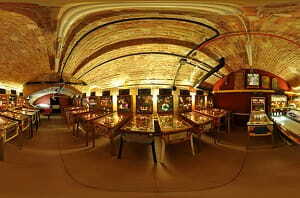 ), Hungary’s capital city of Budapest has a lot to offer. Whether you’re backpacking around the country, on a once-in- a-lifetime family vacation or enjoying a romantic break, Budapest’s many attractions will delight the worldliest traveller. From cruising down the Banks of the Danube River, a listed UNESCO World Heritage Site, to uncovering Hungary’s cultural heritage at Folk Shows and Palace Gala’s, there’s always something exciting to do here for everybody. When it comes to getting around Budapest, it couldn’t be more simple thanks to the efficient public transport system and hop-on- hop-off buses. Making your way from one attraction to the next has never been easier, and once you’re ready to venture down the Danube River, there’s plenty of entertaining cruises, and floating bus rides, to enjoy. 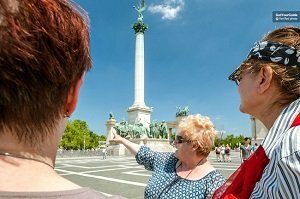 To save you time we’ve price-compared tours in Budapest and have compiled a list of our favourite trips in and around the city, complete with our top tips, customer reviews, and instructions on how to get there. 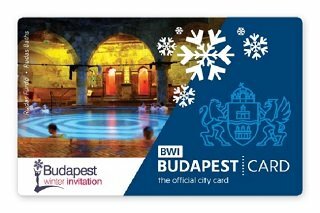 The Budapest City Card is the cities most popular transport pass. It offers unlimited free rides on Budapest’s efficient public transport system. It also allows free or discounted entry to over 100 museums and a handful of restaurants in the city. Use your Budapest City Card to explore Budapests best attractions. Hop on and off the metro and the cities public transport systems and enjoy unlimited rides. Travel across the city by bus to visit some of the best attractions. Unlimited rides on Budapest’s Public transport system. Free entry to a thermal spa. Free or discounted entry to over 100 museums. The Budapest City Card has earned over 122 reviews and a 4.5-star rating on TripAdvisor. Travellers agree that the card is a terrific way to explore the city and make use of the public transport system. Other users noted that the free entry to some attractions was a bonus. Great for first time visitors to the city. Perfect for those wanting to see lots of sights in one day. Ideal for families wanting to save money on transport. Travellers agree skipping the queue made the spa trip run smoothly. Some users noted that the spa was a little crowded and recommended arriving early morning or late evening. Head to your private cabin to get changed into your swimgear. Most users noted that the cabin offers great privacy. This pass gives you 24 hours of unlimited rides on the hop-on hop-off bus. Budapest’s easiest transport system allows you to ride from attraction to attraction at your own leisure. Buses run every 20-30 minutes across the 32 stops in town. Choose between a classic, premium or deluxe bus ticket and enjoy 360 views from the top deck of a double-decker. Explore Budapest in style on four wheels. Enjoy audio commentary as you zip past some of the cities biggest and best attractions. Visit the Heroes’ Square or hop-off at the Citadel. Classic, premium or deluxe bus ticket with unlimited rides. Onboard audio guide (comes in 23 languages including Spanish, English, French, German and Chinese). The Budapest Hop-on Hop-off bus has earned over 1660 reviews and a 4 star rating on TripAdvisor. Travellers agree that the bus is a terrific way to see the city and get around. Most users noted that the bus stops were clear to find and the ticket was "great value for money". Great for first time visitors. Perfect for those who want to pack their day with activities. Ideal for those on a budget. he cruise departs from Budapest’s Szent Istavan Park and heads out down the Danube River for an hour. It’s the best way to admire the cities architecture from a distance, monuments from a different angle and to relax as you float down stream. This evening cruise also allows you to admire the city lit up at night. Cruise down the Danube at night with a drink in hand, enjoying the passing sights as they go. You’ll pass some of the cities best monuments including Buda Castle, National Parliament and the Vigado Concert Hall, each of which will be floodlight by the city street lights. Head to the top deck and grab a blanket to enjoy the view with the fresh night air on your face. 1 complimentary drink (alcoholic or soft drink). 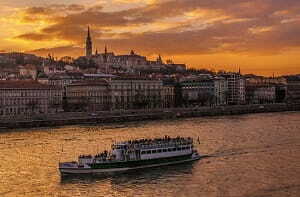 The Budapest Sightseeing Cruise has earned over 10,116 reviews and a 4.5 star rating on TripAdvisor. Travellers agree that a cruise on the Danube is a must when in Budapest. Most users noted that it was the best tour in the city thanks to magnificient views. Great for historians and culture vultures. Perfect for those interested in seeing the city from a different angle. Great for friends and couples alike. A 45 minute guided tour around Hungary’s impressive Parliament building, considered to be one of the cities finest displays of neo-gothic architecture. It’s actually the third-largest parliament building in the world and is built in the Gothic Revival style. The building, designed by Hungarian architect Imre Steindl, stretches along the Danube River over 268 metres. Arrive at the parliament buildings and be met by your guide. Head inside to begin the tour and start exploring the building, make sure you check out the grand central staircase and the Hungarian Crown Jewels that are housed here. Next head into the Splendid Session Room before visiting the Cupola Room to view the Hungarian Crown. Multilingual guide (English, Spanish, Italian, French and German). The Budapest Parliament 45-Minute Guided Tour has earned over 30,193 reviews and a 4.5 star rating on TripAdvisor. Travellers agree that the Parliament buildings are both vast and beautiufl and a guided tour is a must. Most users noted that the tour guides were both knowledgable and informative and created a great morning out". Perfect for historians and culture vultures. A small group guided tour of Budapest, stopping at the cities biggest and best sites. The best way to see Budapest in all its glory without missing a single thing. It’s a great way to develop your knowledge of the city. Take a morning or afternoon small group tour around the capital. See the State Opera, Andrassy Avenue, St. Stephen’s Basilica, the Parliament Building and Gellert Hill all up close. Visit the Castle District and explore at your leisure. Professional and knowledgable tour guide. 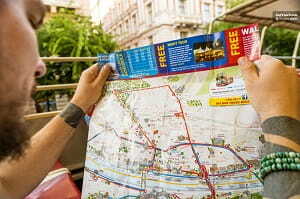 The Budapest City Sightseeing Tour has earned over 359 reviews and a 5 star rating on TripAdvisor. 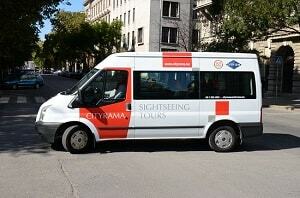 Travellers agree that the tour is a terrific way to see the cities best sights. Users also noted that the guides were friendly, helpful and knowledgable. Perfect if you've got an afternoon to spare. Full day entrance to Gellert Spa including skip the line privileges. Gellert Spa was built in 1918 and is today visited by tourists from all over the world. The building features an Art-Nouveau style and boasts both indoor and outdoor pools, saunas and steam rooms. Enjoy fast-track entry as you skip the queue and head straight in. Leave your belonging in your locker or cabin and take your pick from the many indoor and outdoor heated pools on offer. Use of all indoor and outdoor pools. The Gellert Spa has earned over 7,803 reviews and a 5 star rating on TripAdvisor. Travellers agree that the Soa is a terrific way to relax and found the baths to be pretty impressive. Most users advised having a sauna to make the most of the spa experience. Great way to end your trip. 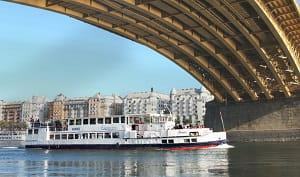 A two hour cruise down the Danube River while enjoying live music from the Hungaria Folk Orchestra and dining on a Hungarian style buffet dinner. The Danube is Europe’s second largest river, runs through 10 different countries and is listed as a UNESCO World Heritage Site which makes it well worth a visit. This cruise shows you the Danube’s best sites as you cruise past the Citadel, Chain Bridge and the Gellert Baths. Cruise down the River Danube by night, enjoying views of the city lit up in all its glory. Cruise past the Gellert Baths and Hill, the Citadel and the Chain Bridge. Enjoy a welcome drink upon boarding before sitting down for a Hungarian buffet dinner. Open buffet dinner (unlimited returns). The Dinner Cruise on the Danube with Live Music has earned over 10,121 reviews and a 3 star rating on TripAdvisor. Travellers agree that the cruise was well organised and offered a great evening of entertainment. Users noted that the live music was the icing on the cake to an already enjoyable evening. A combination tour including access to Szechenyi Thermal Baths plus a two hour cruise down the Danube River while enjoying live music from the Hungaria Folk Orchestra and dining on a Hungarian style buffet dinner. The Danube is Europe’s second largest river, runs through 10 different countries and is listed as a UNESCO World Heritage Site. Pamper yourself at the Szechenyi Thermal Baths, hoping from heated pool to indoor sauna. Relax in the mineral infused water while admiring the buildings neo-Baroque architecture. 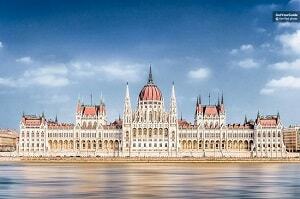 Take a scenic evening cruise down the Danube River and enjoy a Hungarian style buffet dinner. Enterance to Szechenyi Thermal Baths. Ticket for Danube River Cruise. Buffet dinner with live music. The Budapest Dinner Cruise & Szechenyi Thermal Bath Combo Tour has earned over 142 reviews and a 4.6 star rating on Get Your Guide. Travellers agree that the spa offered a relaxing afternoon out while the cruise provided wonderful evening of entertainment. Some users noted that the tour was great value and "well worth it!". Perfect if you've only got a short time in the city. Ideal for first time visitors. 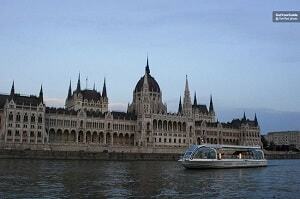 A bus and boat tour of Budapest taking in the cities highlights and most impressive buildings. This tour is the first of its kind in Europe, the bus actually drives into the river and becomes a boat. This is a completely unique way to view the city and it’s super easy, you just take a seat on the amphibious coach and enjoy! Enjoy touring Budapest in an alternative fashion. Hop onboard the Floating Bus Tour and enjoy sightseeing from land and water. Drive along the cities most famous streets taking in the surrounding architecture as you pass by. Next, plunge into the Danube River as the bus turns into a boat and you begin to cruise. English and German speaking live guide. Audio set for other languages (Italian, Russian, Spanish and French). 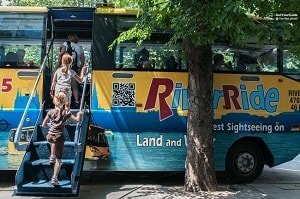 The Budapest Floating Bus Tour has earned over 370 reviews and a 4.5 star rating on TripAdvisor. Travellers agree that the bus is a terrific way to see the city and offers an entertaining and alternative form of travel. Users also noted that the tour is perfect for children! Ideal for those after something a little different. An hour long evening sightseeing cruise down the Danube River. An ideal way to see Budapest lit up at night. Spend the evening cruising down the Danube River enjoying the sights of Budapest from a different perspective. Listen to your audio guide as you pass by national monuments to find out more about them. Enjoy a complimentary drink of your choice as we cruise. The Evening Sightseeing Cruise has earned over 3,208 reviews and a 4.5 star rating on TripAdvisor. Travellers agree that the onboard audio guides were a terrific aid and enhanced the cruise. Some users noted that the cruise was the highlight of their time in Budapest. Ideal for first time visitors to the city. An hour long sightseeing cruise down the Danube River with an audio guide and complimentary drink of your choice. It’s the perfect way to experience Budapest from the water and admire the magnificent views. A great way to learn the history of Budapest’s finest monuments, ancient buildings and impressive architecture. Cruise down the Danube River taking in the sights as you go. Admire the views with a complimentary drink in hand while listening to the audio guide commentary on some of the cities most iconic landmarks. Depart from Vigado Square, pass under the Margaret Bridge, onwards to the Rakoczi bridge before turning around and returning to Vigado. Audio guide (available in 11 languages). TheBudapest Duna Corso Sightseeing Cruise has earned over 480 reviews and a 4.6 star rating on Get Your Guide. Travellers agree that the cruise was informative and insightfull and offered a memorable experience. Users also noted that it was a wonderful way to view the city. An evening at the Danube Palace enjoying a Hungarian Folklore show. 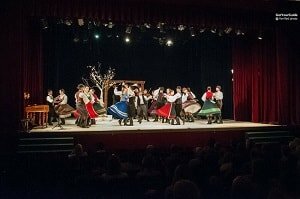 The Danube Folk Ensemble put on a night to remember as their actors, dancers and singers take to the stage to provide an educational evening of culture. Hungary is renowned for its folk dancing as it dates back through the ages. Be mesmerized by the talented dancers and musicians who take to the stage to perform classic Hungarian Folktales. Spend the evening in the Danube Palace, one of the cities most recognizable and impressive buildings. Enjoy a vibrant show and a night filled with culture, music and laughs. Hotel pickup and drop off available (optional extra). The 1.5 Hour Hungarian Folk Performance has earned over 128 reviews and a 4.8 star rating on Get Your Guide. Travellers agree that the show was energetic, enjoyable and showcased fantastic performances. Users also noted that the Danube Palace was an excellent theatre location. Great for lovers of the arts. An easy, efficient and luxury airport transfer. It cuts out the hassle of public transport, the nightmare of trying to book a taxi and the exhaustion of waiting for a ride. It’s a simple, safe, way of travelling from the airport into Budapest. You’ll be met at the airport arrival lounge by your chauffeur who’ll show you to your car. Hop in and enjoy the luxury of a private transfer to your Budapest accommodation. Take the hour long drive into the city in style. The Budapest Private Airport Transfer has earned over 175 reviews and a 4.5 star rating on TripAdvisor. Travellers agree that the transfer is both efficient and comfortable. Users also noted that the drivers were punctual, friendly and more than helpful with carrying bags. Great for those who'd like to travel in private. Suitable for those who enjoy luxury. Ideal for travellers who enjoy efficient transport. Three hours of evening entertainment including a Gala Concert, Danube Cruise and dinner. An insight into Hungarian Folk music. The cruise offers an evening to remember, sailing down the famous Danube River. 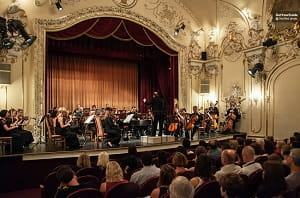 Spend the evening at the Danube Palace listening to classical music at one of the cities most popular concerts. After, you’ll be escorted to the cruise ship which you’ll climb aboard and head down the Danube River. Enjoy a welcome drink of your choice before being seated for dinner. The Budapest Gala Concert + Dinner & Cruise has recieved 30 reviews and a 4.5 star rating on Get Your Guide. Travellers agree that the show was captivating, that the cruise was well organised and the food was enjoyable. Users also noted that the Gala provided authentic Hungarian evening entertainment! Ideal for fans of classical music. Entrance to Budapest’s famous Pinball Machine Museum. It’s Europe’s biggest interactive museum and is listed as the No. 1 museum in Budapest on Tripadvisor. The museum is also of historical importance as it houses the worlds very first pinball with flippers and the largest pinball machine in the world. Head down to the Pinball Machine, exchange your ticket for a wristband and start playing unlimited games! Spend the evening playing on rare and vintage pinball machines along with modern installments. Check out the world’s first pinball machine, with flippers, that dates back to the 1940’s. The Budapest Pinball Museum has earned over 967 reviews and a 5 star rating on TripAdvisor. Travellers said that the museum was "retro heaven" and that it housed an impressive collection of pinball machines. Other users noted that it was fun for the whole family. . Perfect for a quirky date night! 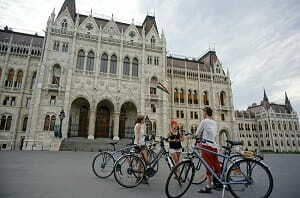 A two hour bike tour through central Budapest passed some of the cities most renowned monuments and biggest attractions. It’s an alternative, easy and fun way to explore the city. It’s also an efficient way to fit lots of wonderful sights into your day, making it ideal for first time visitors. Follow your knowledgeable guide on a bike tour around Budapest. Stop outside some of the cities biggest attractions, best buildings and national monuments. Cycle next to two UNESCO World Heritage Sites as you make your way along the river. The Budapest Highlights Bike Tour has earned over 792 reviews and a 5-star rating on TripAdvisor. Travellers agree that the bike tour is a terrific and efficient way to explore the city. Users also noted that the guides were both friendly and knowledgable and that the tour helped them get their bearings in a vast city. Perfect for those looking for an alternate way to view the city.